Google, aka Alphabet, is famous for its “moonshots”—enormous, ambitious technology projects that cost a ton to develop and might not ever work or turn a profit. Today, we’re getting a first look at just how much money the company is flushing on its big ideas. Alphabet encompasses the many different little businesses we used to know collectively as Google. After last summer’s reorganizaion, Google refers only to the company’s hugely lucrative internet business. Everything else gets its own little corner in the company. 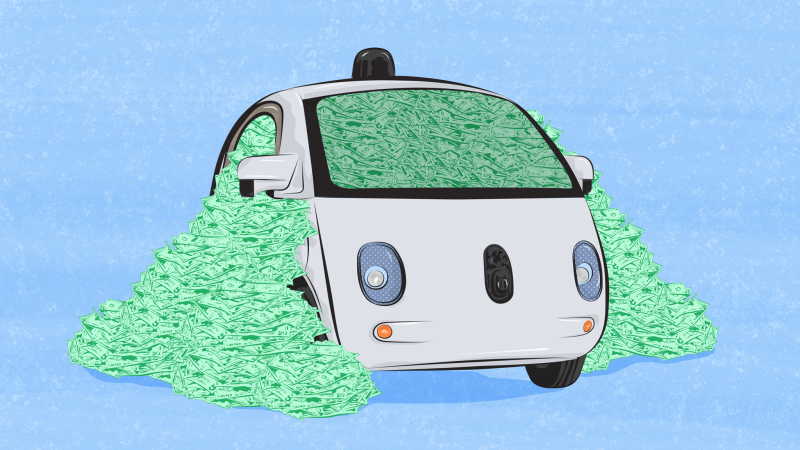 The bottom line is that moonshots and other ambitious projects like Google Fiber, delivery drones, autonomous cars, Nest etc, don’t make any money. So “other bets” is $3.5 billion in the red. Ouch. Needless to say, the company is still ridiculously profitable even with that huge loss. The only other interesting point to note is that Google nearly doubled its operating loss on other bets in just 12 months. We don’t know just what that money’s going to, but it’s a big jump. Hopefully that means some of those crazy ideas are inching closer to reality.